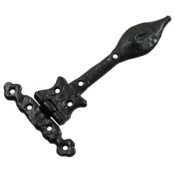 A smaller decorative black iron Tee Hinge and an ideal finishing touch for lightweight cupboard and cabinet doors. Forming part of our Wealden Black Iron range this hinge is manufactured in Britain using traditional casting techniques and finished in Antique Black for a truly authentic look and feel. 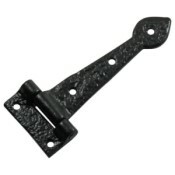 One hinge complete with traditional slotted roundhead woodscrews in matching finish. 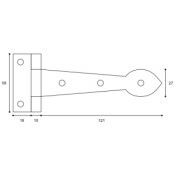 These hinges are normally held in stock for immediate despatch. 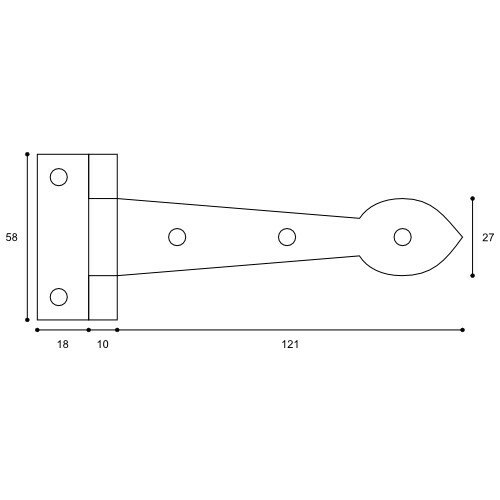 If we are temporarily out of stock you should allow approximately 7 to 10 days for despatch.